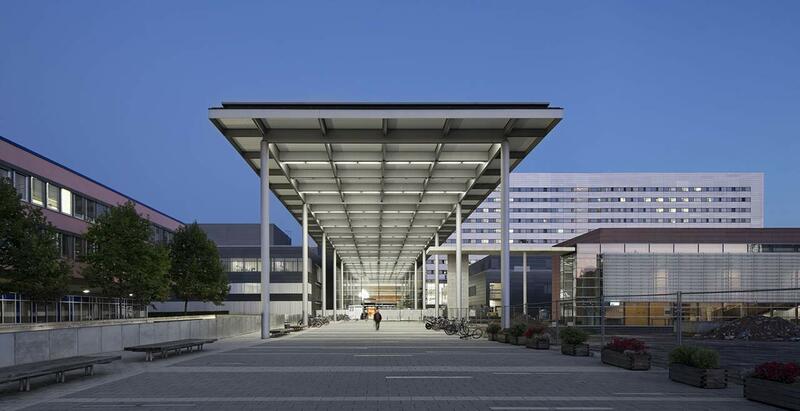 The University Hospital Frankfurt is part of the Johann Wolfgang Goethe University Frankfurt am Main. The hospital was founded in 1914 and today it is a famous German medical institution with rich traditions. The hospital treats about 49,000 inpatients and 220,000 outpatients every year. The main objective of 32 specialized departments and clinical and theoretical institutes is to provide the best possible patient care. Through a close link with science, the hospital cooperates with 20 research institutes of the Faculty of Medicine. New medical developments are quickly implemented into the patient care. The hospital has 1,286 beds. The numerous institutes are devoted to specific medical and scientific problems. Over 4,000 staff members (physicians, nurses and other specialists) are taking care of the health and comfort of the patients of the hospital around the clock. The area of the hospital is about 433,200 square meters and has almost the same size as the historical center of Frankfurt. Foremost, the University Hospital has a special expertise and experience in the field of neuro sciences, oncology and cardiovascular medicine. 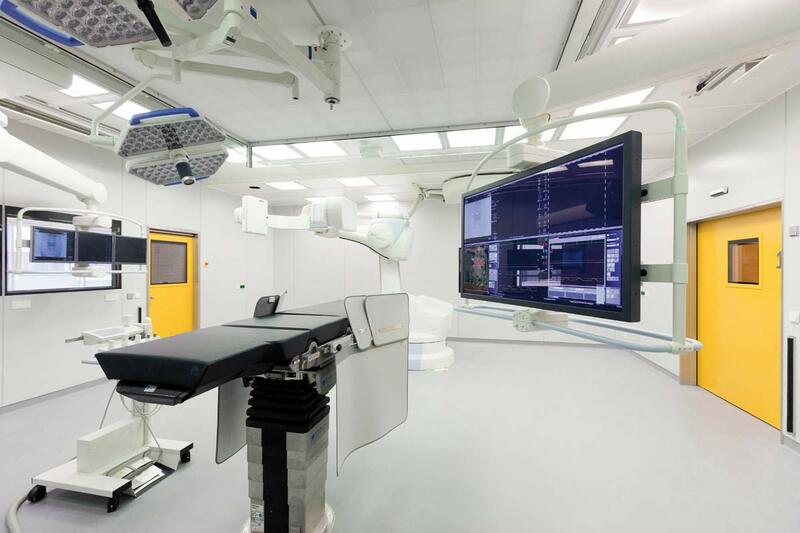 The hospital is also of supraregional importance in the field of dialysis and cardiac surgery. Every year, the Departments of Ophthalmology, Gynecology, Dermatology, Urology and Internal Medicine provide high-class treatment to the thousands of patients. The University Hospital Frankfurt is included in the Focus magazine rating of top German hospitals 2017! 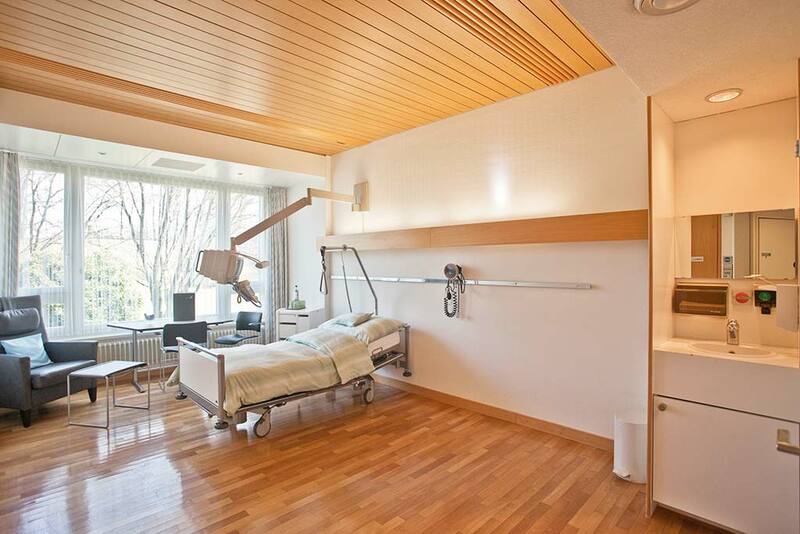 The hospital rooms are regularly renovated and equipped to reach the state-of-the-art level. The rooms in the Frankfurt am Main University Hospital are light and nicely decorated to make the patients feel really comfortable. Each room has a shower and toilet that can be used by the patient at any time. The Internet connection can be set up upon request. The hospital offers single and double rooms. If you choose a single room, an accompanying person will be able to stay with you. A double room is shared with a patient of the same gender. 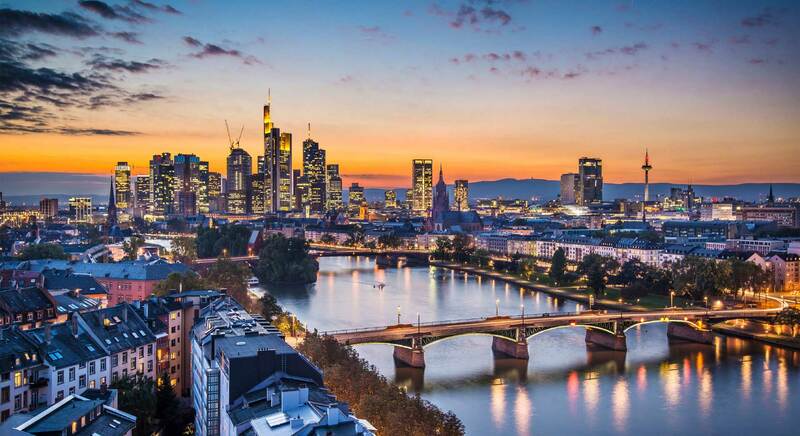 Frankfurt am Main is the fifth largest city of Germany with a population of about 700,000 people. Since the beginning of the Middle Ages Frankfurt am Main has ranked among the largest urban centers of Germany. Today, it is an important international financial center, as well as the center of industry, exhibitions and services. Frankfurt am Main has been the owner of the title “City of Europe” since 1998 for its role in the European integration.